Offering quality education to architects, empowering them to learn new concepts and industry emerging trends and helping to fulfill AIA continuing education requirements and maintain state licensure. The Association of Woodworking & Furnishings Suppliers® (AWFS®) is the largest national trade association in the U.S. representing the interests of the broad array of companies that supply the home and commercial furnishings industry. 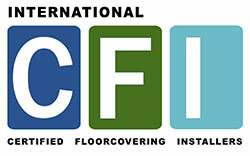 CFI – Certified Floorcovering Installers Association, Inc.
CFI is about flooring installers helping other flooring installers rise to a level of professional skills and integrity that will bring the maximum beneficial impact on the floor covering industry, the installation profession, and to consumers worldwide. Founded in 1906, ESFPA is dedicated to improving the economic climate for the forest products industry and to promote management of New York’s Forests to meet the resource needs of today and for future generations. ESFPA counts amongst it over 700 member companies furniture companies, lumber manufacturers, forest landowners, timber harvesters, pulp and paper companies, bioenergy operations, interested individuals and other wood products manufacturers from across New York State. Members own and manage 1.5 million acres of New York’s forests and employ over one-third of the 60,000 individuals who work in the forests and wood-using mills around the state. Flooring Association Northwest is the premier regional non-profit, trade association, connecting professionals from all aspects of the floor covering industry. Flooring Association Northwest offers programming that helps educate flooring professionals, in order to provide the finest service to their customers. FCICA is the only association with the singular purpose to promote and represent the commercial floor covering industry. It is the mission of FCICA to provide a unique network for problem-solving, education and support, to enhance member businesses and the flooring industry. FCICA is the one organization that can provide you with the tools necessary to improve your management of the entire installation process and consequently improve your company’s profitability. Fuse Alliance is a member-owned organization of professional, commercial flooring contractors. With more than 84 companies in over 150 locations across the United States and Canada, the organization’s member businesses represent approximately $1.2 billion in sales and services. Fuse Alliance is made up of a unique network of flooring experts with a combined experience that spans across flooring product knowledge, installation expertise, and a keen understanding of meeting the environmental requirements of today’s market. Fuse Alliance’s governing body is an executive Board of Directors made up of 12-member business owners. Through its member network, Fuse Alliance is dedicated to serving the North American market and member businesses can be found throughout the United States and Canada. The mission of the International Concrete Repair Institute is to be a leading resource for education and information to improve the quality of repair, restoration, and protection of concrete and other structures in accordance with consensus criteria. IHLA is a non-profit trade organization comprised of sawmills, wholesale brokers, equipment vendors, secondary manufacturers, loggers, landowners and others who recognize the benefits of working together on issues and projects for the good of the hardwood industry. It is a relevant, member-driven trade association, whose members share a passion for creating the world’s finest hardwood products, and a determination to maintain the sustainable productivity of our nation’s forest resources. INSTALL, the International Standards, and Training Alliance, is an alliance of major flooring manufacturers, contractors and professional installers across the U.S. and Canada. It consists of a comprehensive training and certification program for its floor covering installers, and a marketing program for its alliance members. Certifications and training are based on the direction and continued review of floorcovering mills and manufacturers making it the most endorsed and recommended training program in the industry. Incorporated in 1983 to provide representation to a broad cross-section of individuals and business organizations involved in the timber industry, the Lake States Lumber Association’s membership of over 140 members represents 18 states and one Canadian Province. The Association’s primary objective is to Providing Leadership and Education to Assure the Sustainability of Our Forest Resources. This objective is achieved by a network of committees and volunteers. In a joint effort with other organizations including the Great Lakes Timber Producers Association, Hardwood Federation, and the National Hardwood Lumber Association, Lake States Lumber Association actively lobbies state and federal legislatures on pertinent issues affecting our industry. The Mississippi Lumber Manufacturers Association, MLMA, serves as a single point of contact for sawmills in Mississippi, to promote the use of southern yellow pine and hardwood lumber and serve as a unified voice on matters affecting our industry. We have 19 Mississippi sawmill members and 141 Associate members and sawmill members from Alabama, Louisiana, Arkansas, Texas and Tennessee. commercially important eastern softwood lumber species. NELMA is a leading agency for export wood packaging certification and the marketing voice for the wood products industry in the Northeast. To engage professionals in the construction industry through education and compliance to national floor covering installation standards which provide a quality assurance platform to ensure successful installations on commercial projects. The National Wood Flooring Association (NWFA) is a not-for-profit trade association representing all segments of the hardwood flooring industry, including manufacturers, distributors, retailers, installers, inspectors, and consultants. NWFA Mission Statement: To promote the usage of wood flooring in residential, educational, and commercial environments and provide members with the education and training necessary for success. San Diego Fine Woodworkers Association (SDFWA) is a 501(c)(3) non-profit corporation, organized in 1982, to unite people who share a common interest and enthusiasm for working with wood. If you are interested in making things from wood, SDFWA is the place for you. We currently have over 1000 members: men and women, amateurs, hobbyists, and professionals, all sharing their ideas, techniques, expertise, and love of woodworking. The Southeastern Lumber Manufacturers Association (SLMA) is a trade association that represents solid sawn lumber manufacturing operations, lumber remanufacturing operations, lumber treating operations, and their suppliers in 17 states throughout the southeast. SLMA’s members produce more than 2 billion board feet of solid sawn lumber annually, employ over 12,000 people, and responsibly manage over a million acres of forestland. These sawmills are often the largest job creators in their rural communities, having an economic impact that reaches well beyond people that are in their direct employment. The association serves as the unified voice of its members on state and federal government affairs and offers various other programs including networking events, marketing and management, and operational issues. Our mission is to promote the continued education of all those involved in the lumber drying industry, for the purpose of improving the quality and value of kiln-dried lumber, while increasing the efficiency of the lumber drying process. The goal of the World Floor Covering Association is to ensure the success and profitability of professional floor covering dealers and to protect their common interests. 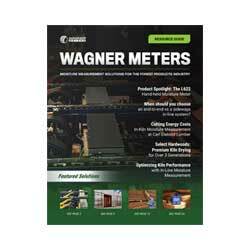 Western Wood Products Association represents softwood lumber manufacturers in the 12 Western states and Alaska. Supported by Western lumber manufacturers, WWPA delivers lumber grading, quality control, technical, business information and product support services to sawmills as well as those who use Western softwood lumber products throughout the world.